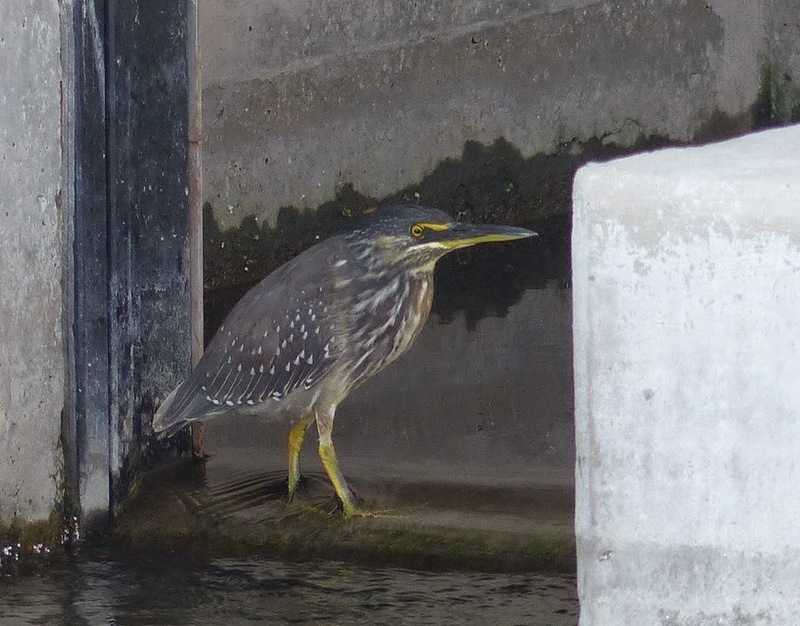 I finally caught up with the juvenile striated heron at Zakaki this morning. This is the first for Cyprus and possibly a first for Europe. 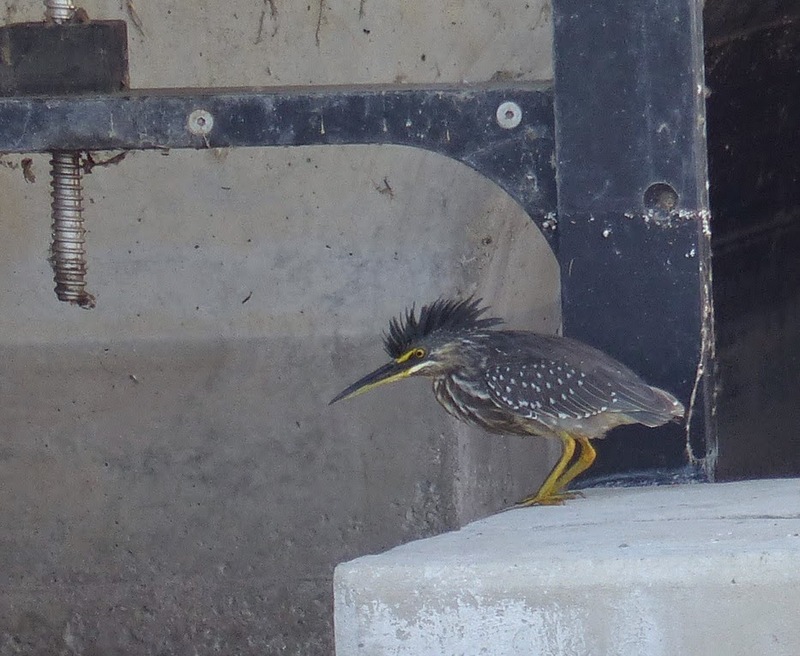 It's the Old World equivalent of the North American green heron, in fact at one time they were considered conspecific. Now they are considered separate species. 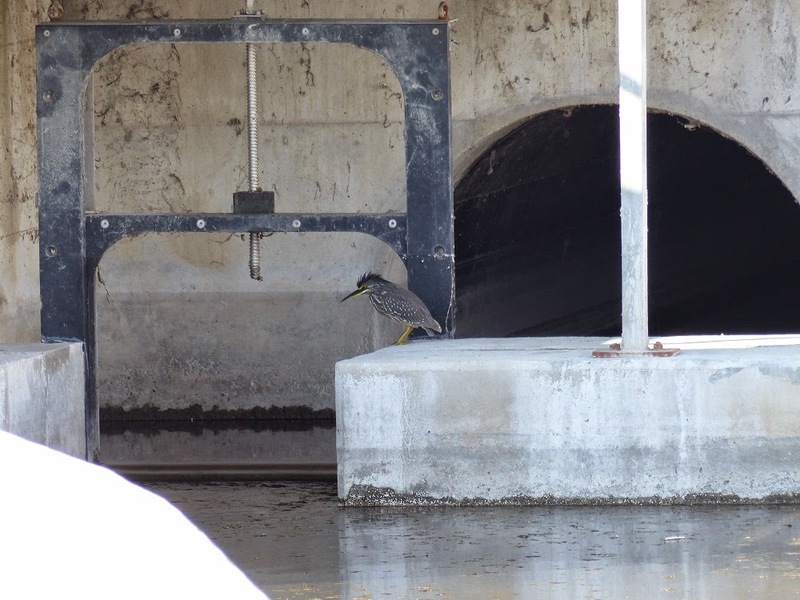 This bird has been here for about six weeks, but can be very elusive, partly because it's such a tiny heron, but also because it often disappears into a pipe for long periods. 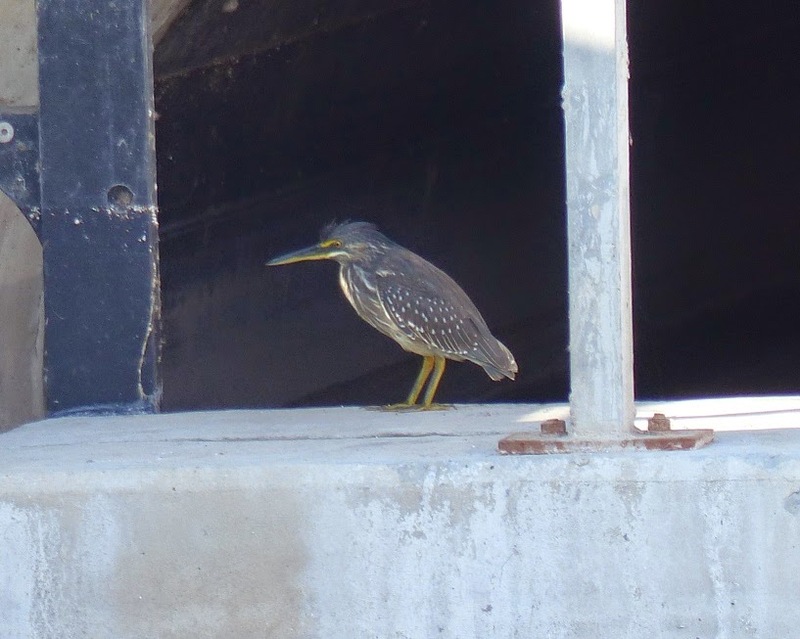 I have seen green heron twice in the UK, and also in Florida, but striated heron is a new bird for me, my 7th new bird of the holiday. You can really see how small it is in this photo. Behind it is one of the pipes it flies down when it gets disturbed!